Webroot Software Inc. are the developers behind the popular security solution of the same name for desktops, and have brought the same protection to Android users with Webroot Mobile Security. This app, unlike its desktop counterpart, has features specifically for lost or stolen devices, giving the user the ability to track, lock, and wipe the device remotely from the handy online console. Webroot Mobile Security has a free version and a paid version coming in at $14.99. The free version is only different in that its features list is more constrained than in the full version. I go back and forth on whether this app is worth the price -- on the one hand there are free apps that do much more for lost and stolen devices; on the other hand, Webroot is a trusted name, and the app comes with antivirus/malware protection and a handful of other features that I haven't seen combined with a security app yet. One thing is certain, however: the app itself is beautifully designed and works great. Setup is simple and the user can either log in or create a new account. Logging into your account from multiple devices will automatically attach the devices to your account, and you can control them all remotely from the online panel. 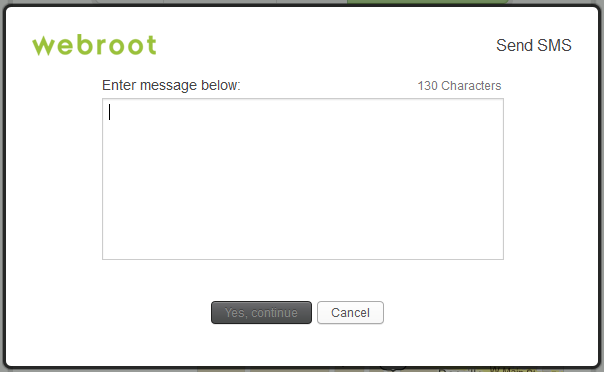 Webroot packs not only lost/stolen device protection, but web security, anti-malware, and call/text blocking as well. Before we get into the online console, we'll take a look at the device-side features. First up is antivirus. This function scans all the stored files and apps installed on your device, and reports back with any issues. This is a snappy, self-explanatory feature. Similarly, App Inspector scans apps for permissions and alerts you to apps that can access personal info. The app also allows the user to turn on and off Lost Device Protection (remote/web console features) as well as the other security features. 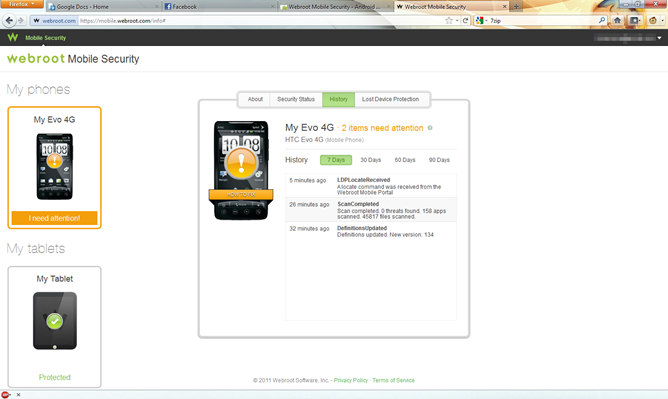 The user can also check command logs to see what commands have been sent to the device remotely. The app also keeps you safe while surfing the web with Secure Web Browsing, alerting you of any threats that may arise. 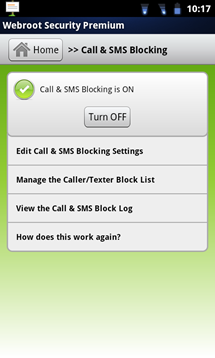 You can also use Webroot to block calls or SMS messages from any number. All of these work exactly as they should and do so in a quick manner, making me feel confident that I'm protected while using my device. Next up is the online console. The interface here is similarly clean and well-designed, despite lacking some of the gradient-based, reflective panache from the device-side app. The controls here are simple. First the user is welcomed by a list of device info including device name, OS, phone number, and your license key. Nothing to see here. Next is "Security Status." This tab tells the user when their definitions were updated, and alerts them to any suspected security risks with their device (right down to whether or not your device allows third party apps). The History tab, as one may expect, shows command history much like the command log on the device app. The user can view command history back as far as 90 days. 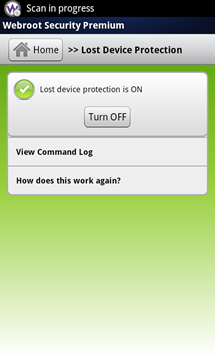 Finally we have the "Lost Device Protection" tab, where the real meat of Webroot's loss/theft protection comes in. First we have the Scream function which, similar to other security apps, triggers a full volume noise - except Webroot's scream option triggers a horrifyingly loud, shrill siren noise that sounds once, and locks the device automatically. 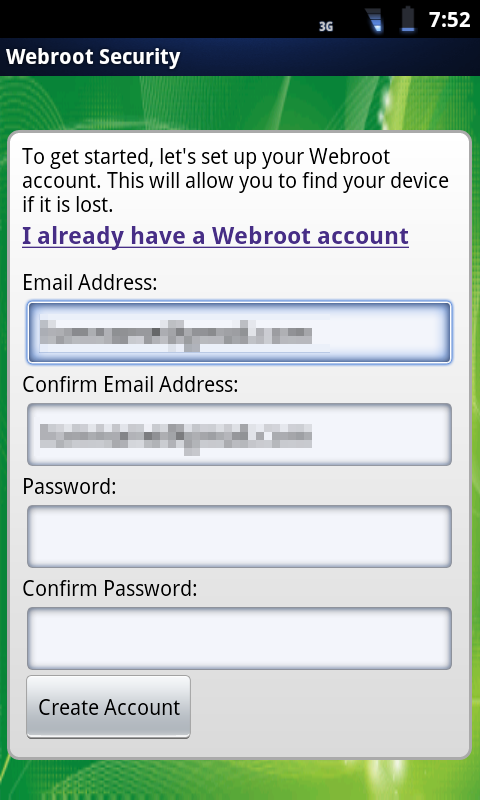 The device can only be unlocked using your Webroot password. Next is the Wipe function, which will wipe all user data from the device. It's important to note that this does not mean a full factory wipe. Rather, the app will delete contacts, history, etc. This is sort of good news, because the app does not have root presence, meaning it would not survive a factory wipe. Next is the lock function, which will do the same thing mentioned above, locking the device and making it unlockable only using your password. 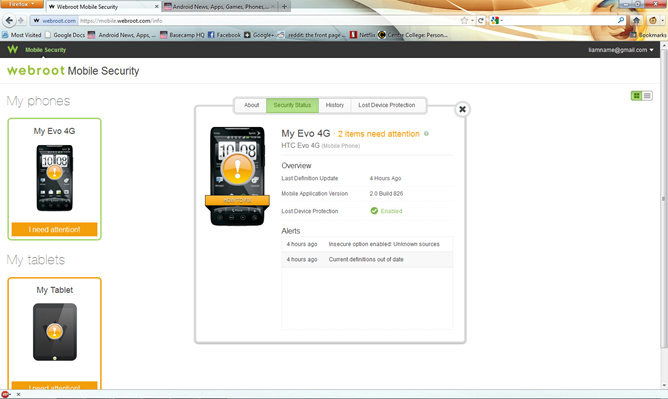 The user can also send a custom SMS to the device, which acts just like any SMS message. Finally, is the location function that we have all come to know and love. It utilizes a Google Maps pane and can locate your device right down to approximate address, much like all the other apps in the roundup. The catch here is that the app does not enable GPS automatically, so if your device doesn't have GPS switched on, you're out of luck. 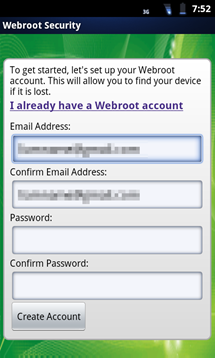 Webroot is a nice enough app, bringing many useful features to the table, but for lost/stolen phones, it isn't the most reliable solution available. The features available work flawlessly and quickly, I just wish there were more of them. Furthermore, tablet support is seriously lacking. There are literally no remote actions available for tablets, data-enabled or otherwise. Free Functionality - The free version of Webroot does a lot, and given the robustness of the features Webroot provides, it's a good solution for those not willing to buy the full product. Ease of Use/Interface - Everything about the app and online console seems polished, and it works well, without hassle. 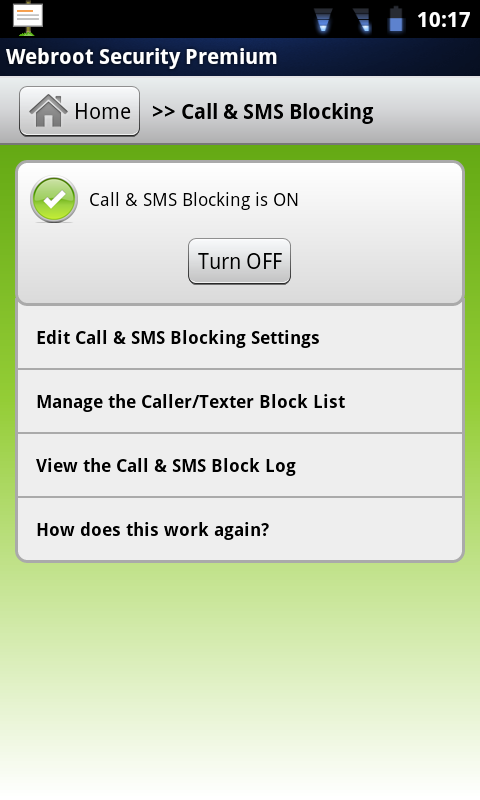 Unexpected Features - I was impressed to find call/SMS blocking as a function of the device-side app. Support for Multiple Devices - You can add as many devices to your account as you'd like. No SMS Support - If data is disabled on your device, you may be out of luck when it is lost or stolen. 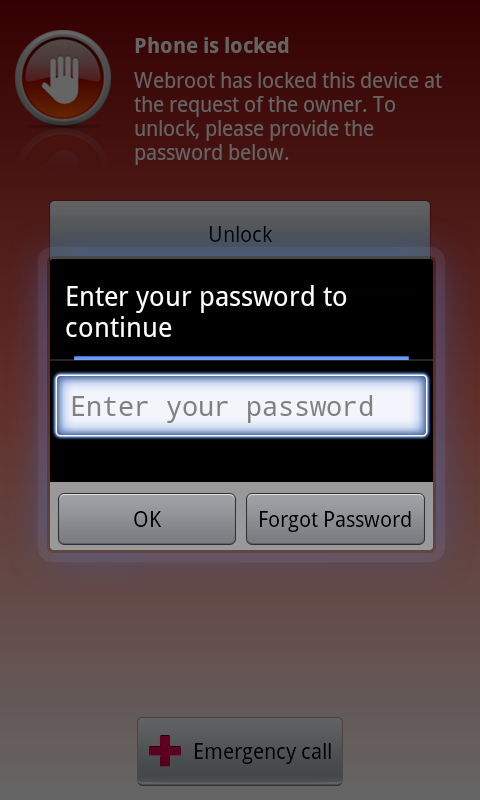 No Root Presence - This app will not survive a factory reset. Tablet Support Lacking - Without remote control options for tablets, this app does not make a good solution for tablet owners worried about loss or theft. There Could Be More - While Webroot has many great features, there could definitely be more. Again, the key feature that is missing is SMS support and perhaps a GPS auto-on capability. Overall this app is great for those concerned more about anti-malware/virus protection and only slightly concerned about loss/theft of their Android phone. For those looking for a more robust, feature-rich experience, there are better solutions.